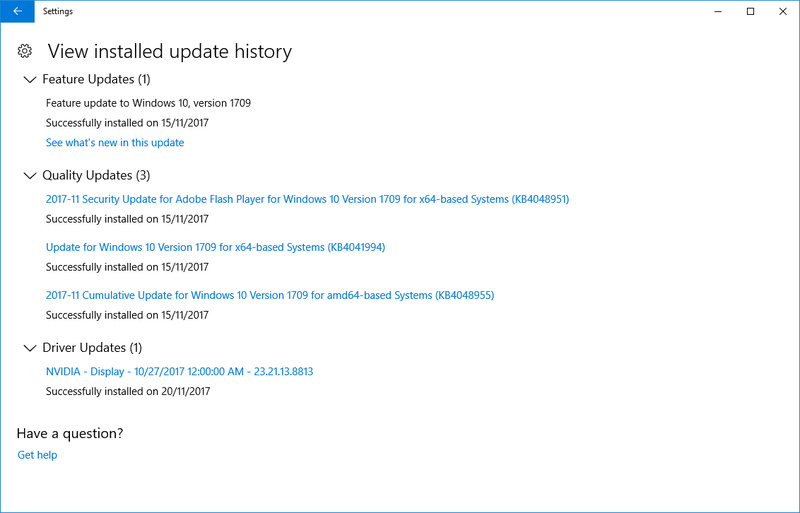 I have been running 1.6.1.93 AP successfully since released but last night had a forced windows 10 update and now it wont launch. Is there a way to roll back to a stable version as I cannot work currently. Hi Kilo, the crash report doesn't appear to have uploaded to our servers. Can you look in the following folder and upload any reports to this thread please? Please find 4 tiles attached. Do you know which Windows Update was installed? I have the same issue as kilotank. I saw the instructions you provided to kilotank and attached the zip file. if you could please help to resolve this for me as well. Thanks @kilotank & @Nick Trieu. Sorry but what am I supposed to do? Am I just supposed to rename the fike as you have indicated to kilotank? I saw from your previous comment that you needed to replicate the issue. Do I need to wait dor you to do the same thing for my file I uploaded? Oh sorry I hadn't realised you hadn't done that part. Yes if you rename one or both of those files, things should start working again. I've got your file now. Please let me know which file you renamed to make it work. I'm not at home at the moment. I'll do it tonight or tomorrow morning and will let you know. Did you see my final comment yesterday that it was now crashing once running (swapping between color and brushes). I had attached the new crash reports on previous post. Are you looking into this? I'll check it out once I get the first issue fixed. Cross my fingers everything will be fine. Will let you know the outcome. Sorry but I'm really not the sharpest knife in the drawer when it comes to tech talk. Can you please let me know which file I need to rename? And when you say rename, I literally right click on that folder then copy and past the name correct? And what is the name I need to copy and past in there? If you go to file explorer in Windows and copy and past %APPDATA%\Affinity\Photo\1.0\user\ it will take you directly to the folder. Then if you rename the macros.propcol file to something else (can be anything). After you have done that go to %APPDATA%\Affinity\Photo\1.0\Workspaces\Photo\ and rename the file WindowProfile.xml to something else also. What is happening with this fix. I have been without any photo editor for a week and its not good. If you can't fix it then can you tell me how I can re install an older stable version please. I'm able to log into Affinity Photo now. Thanks for both for your guidance.